Aakanksha, notes! : Long time no read ! Long time no read ! 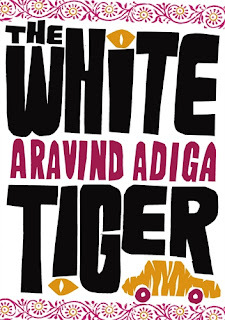 The best way to spend a work-from-home lazy Monday is to complete a good book & here I was done with Aravind Adiga's debut & Man Booker Prize winner "The White Tiger".Named so in reference to the central character of the story Balram Halwai , a phrase used to signify one of its own kind among many in a generation.This was something he was told by any educational inspector during Balram's short stint (due to circumstances around him) at the local village school. The story,as it proceeds from the point of view of Balram, just another person belonging to - 'darkness' or the other side of the not-shining-India, brings upon the harsh reality of the second India that exists, first being the 'Lightness'.Balram, as the narrator of the story, takes the reader through his own life story, how he saw his father suffer under the rich as a simple rickshaw puller just like his entire village under the rich landlords.He learns to drive, manages to get work in the city of Dhanbad under the landlords again (& so showing his 'The-White-Tigerness'), where he brings forth the description of the Lightness side, which is full of its own darkness like corruption, infidelity etc. 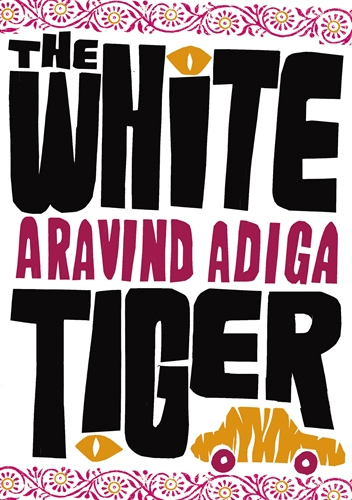 As the story proceeds with Balram moving to Delhi with his masters, he gets to know the tricks of the trade, and watches life from a bigger city's perspective, facing the harsh realities, and at the end, himself acting like a brutal, amoral person, murdering not only his master but being responsible for the death of his complete family just in order to break out of his Rooster Coop, a term defined in the book referring to the lower classes who are kept from rebelling against the society. It is a gripping work by the author as the complete story is in the form of letters the character writes to a visiting Chinese Prime Minister, throwing light on the similarities & comparison of the two countries, focusing on Bangalore & the Outsourcing which has changed the face of Globalization, about entrepreneurship & most of all a very true reflection of the Indian society. The Mythical town of Laxmangarh,I guess the author didn't know that an actual one too exists !! @Sandeep 2nd comment : 2 treacherous people can comment on each other's work no matter how good it is..